Please ask your Local Community, School or University Library if they can order the book. 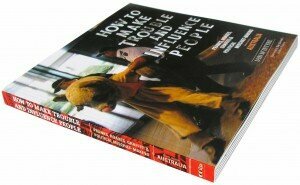 ‘How to Make Trouble and Influence People’ in LIBRARIES! We’re trying to get the book in as many local libraries as possible before we sell out. Please ask your local community, school or university library if they can order the book for their shelves. Then you can go in and read it whenever you want too! The book can be ordered through James Bennett library supplier. How to Make Trouble and Influence People: Pranks, Hoaxes, Graffiti and Political Mischief-Making from across Australia. Written by Iain McIntyre. Published by Breakdown Press, 2009. Next Next post: Second Edition to be Published in 2013!